When you sit down to draft a sales cold email, what do you primarily focus on? An Eye-Catching Subject line? Check. A Persuasive Call To Action? Check. And you send that little missive on its way to (hopefully) charm the socks off your prospect. But when was the last time you stopped to take a closer look at your cold email signature. After all, it does occupy anywhere from 5% to 20% of the total real estate available in your email. 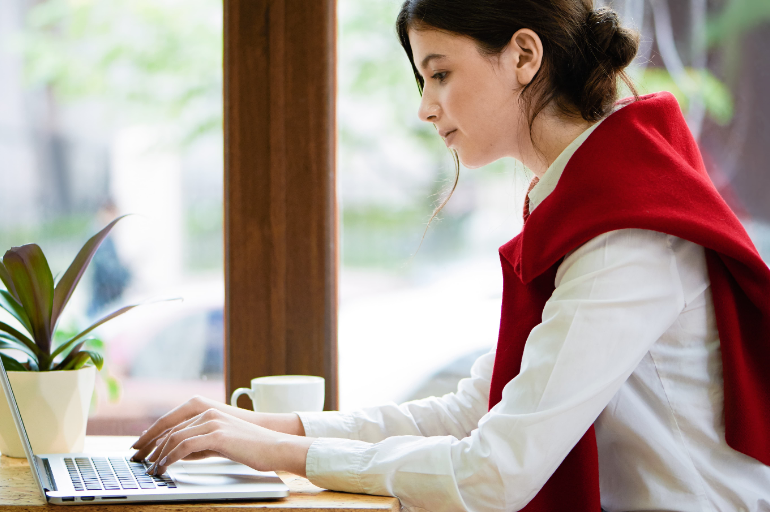 Is there a way to structure your cold email signature to get more bang for your buck? Or to put things in perspective, if your prospect read all the way to the bottom of the email without feeling compelled to reply, can you turn things around with a nifty email signature and get them to hit reply. Turns out, you can do just that – by switching the context from the prospect to yourself. If the email content was all about the offer, the prospect’s problems and how you can help the prospect, the signature gives you an easy switch to talk about yourself. Show them that human side of you and what you stand for. The signature is a great place to talk about you, why you do, what you do. When it comes to a cold email signature – most people err on the side of putting in either too much information or too little. Getting it just right requires one to be deliberate about what to exclude and what to include. Litter your email signature with too many images and you risk distracting the prospect from the primary action you want them to undertake. Add very little information – and you lose the opportunity to connect with them at a personal level. The solution is to think of your Email Signature as a pyramid with 3 layers. The first layer is the foundation. The section which addresses the question: Who am I? Factual details like your Name, Title, Social Media Links etc go in here. Why do I matter? 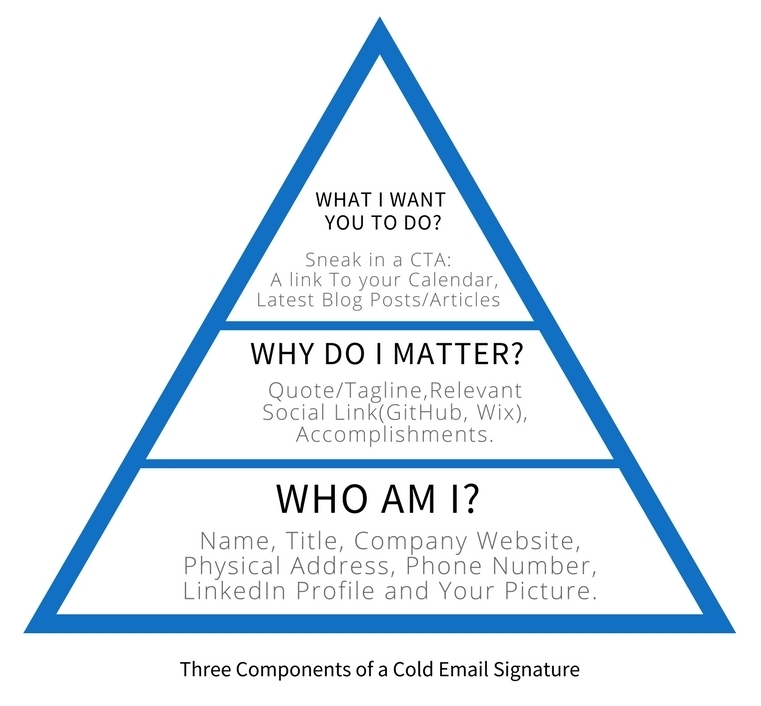 Go one level higher in the Pyramid, and this is the place where you stand out from all the other boring emails and templated signatures; What do you stand for? What makes you credible. What do I want you to do? A really good email signature also squeezes in a call to action. For example, a calendar link to book a meeting with you or a free trial signup page. The bottom section of the pyramid underlies the basic structure of what an email signature should consist of. The usual details such as your name, designation, company website, the physical address of the company, and your LinkedIn link. This gives the reader/prospect a basic idea of who you are, what you do, where your company is situated and so on. The email signature represents you in the cold email. When you attach a photo, it also emphasizes the fact that there is a human behind this email. According to MIT researchers, humans have a remarkable ability to remember images in long-term memory, especially those that feature people. In that regard, adding an image not only shows the prospect who you are, but it also makes your email signature and your cold email memorable. How is the reader is going to know who he/she is dealing with if you don’t include your title? Including your position is a way to let your prospect know what you do in this company. Adding your designation or title can be especially very useful when you are reaching out to a peer. One CEO reaching out to another CEO or one developer reaching out to another developer always helps show that you are “one of them” and you get them. Two birds of the same flock. 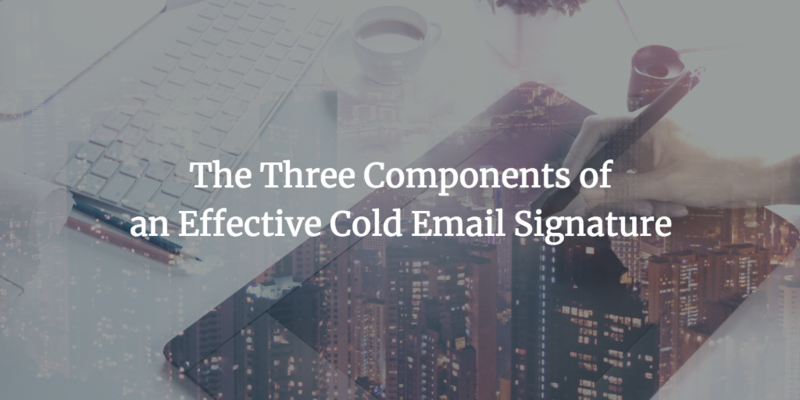 One of the main reasons why an email signature is used in cold emails is to help the reader/prospect get back to you. And what better and faster way is there to contact a person than a phone number? Including your phone number can help them contact you in case they need to reach you quickly. Tony being his usual conservative self, has a simple yet smart email signature that includes all the basic information that a reader would expect from a signature. If the recipient wants to send you an email, all she has to do is click the reply button. It goes without saying that including your email address is completely unnecessary. Despite sending his emails from dwight.schrute@dunder.com, Dwight has included the exact same email address in his signature. From a CAN-SPAM act compliance point of view, it is essential to include a physical address. If you really want to connect with your prospect, then you cannot just provide the basic factual links. Go one step further and show them why you matter. 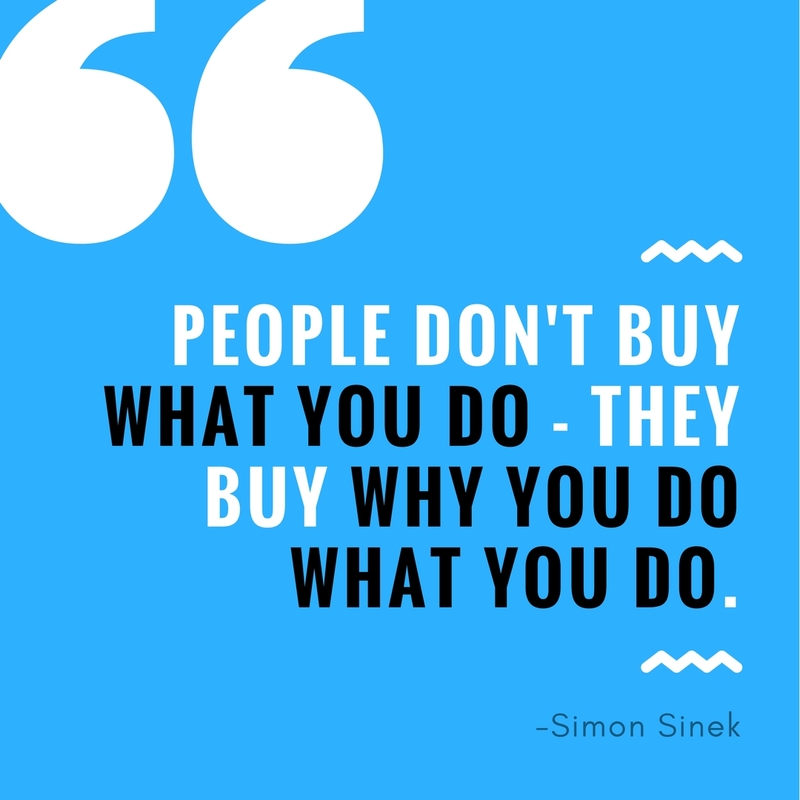 Why you are someone who knows that you are doing. And that you share similar values. And you are someone who can be trusted. Being a cold email sent to professionals, the safest and best bet is to include your LinkedIn profile in your email signature. Because LinkedIn is the largest social hub for professionals. But, what if you’re a prolific tweeter and have a huge following? Then, you can provide your Twitter profile link to show your best side. Likewise, if you’re a designer, you can share your Behance or Wix link. Or, if you happen to be a developer, you can include your GitHub link. Adding your best social profiles provides an opportunity for your prospect to know you better, it also helps put your best foot forward and builds your credibility. Jesse is the lead designer in Crystal Blue and to show the prospect his portfolio, he has attached his Behance link below the LinkedIn profile link. Adding a quote is an easy way to showcase your values, ideals, and integrity, giving the reader a reason to remember you. Come up with an original quote or tweak a famous quote to fit your ideals and industry or you can go down the humorous path and try something quirky. Either way, this quote should speak to your character and to your values. From the above example, you can see that Draper has included a quote that represents what he feels about sales pitches. He is all about the heart when it comes to pitching a product. No wonder he’s the best! Have you published a book that was listed in the Amazon’s best sellers section? Mention it. Worked with over 500 brands? Mention it. An article featured in the Forbes magazine? Mention it. Adding accomplishments to your email signature is always a bonus. It helps in building trust and credibility with your readers. Dougie has worked in this industry for more than two decades. To show his authority in this field, he has linked his bestseller; How Coffee and Sales go hand-in-hand at the end of his signature. The uppermost section or – for you archaeology geeks out there – the pyramidion of the pyramid scheme describes how you can sneak in a call to action to the end of the email signature. Prospects generally don’t like to be left hanging at the end of an email with nowhere to go. After all the effort you’ve taken to create a decent signature, it would be a huge mistake to not include a CTA – to lead your prospect out. So, providing this faux CTA at the end of your signature ensures that you don’t leave your prospect clueless – providing them with a way. Tethering a link to your calendar at the end of your email signature works wonders because it allows the prospect to choose a time of their convenience. They can book any date and create alerts to remind them of it later. Ron Swanson is a simple man. He likes his meat rare, his whiskey smooth and his breakfast hot. What he also likes is to work efficiently and avoid wasting precious time. Which his email signature clearly suggests – a signature with the basic necessary details but with a calendar link attached at the end to help the prospect schedule an appointment at their convenience. Attaching your latest blog posts, ebook, whitepapers or videos on to your email signatures can help provide value to your readers/prospects. Blog posts and videos can help you communicate and express your thought leadership, ebooks and whitepapers can provide solid research information on new techniques, methodologies relevant to your industry. 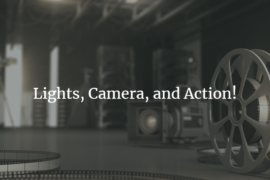 Pro Tip: If you plan on adding a video to your email signature, make sure to use a catchy thumbnail. Usually, thumbnails which contain a person’s face tend to attract readers to click it. 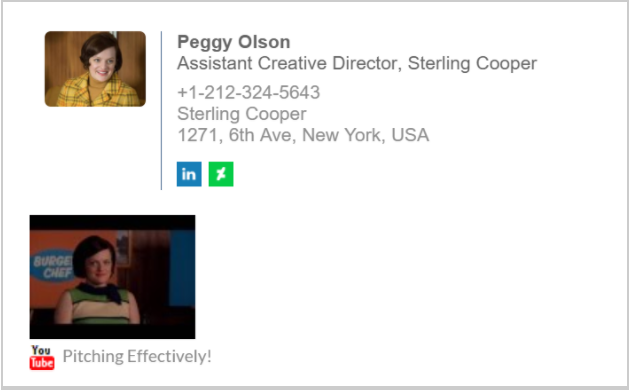 Sterling Cooper’s Peggy has a simple email signature but with a video attached at the end. Now that we have discussed what to include in your signature to make it effective, here are some key mistakes to avoid when it comes to creating an email signature. 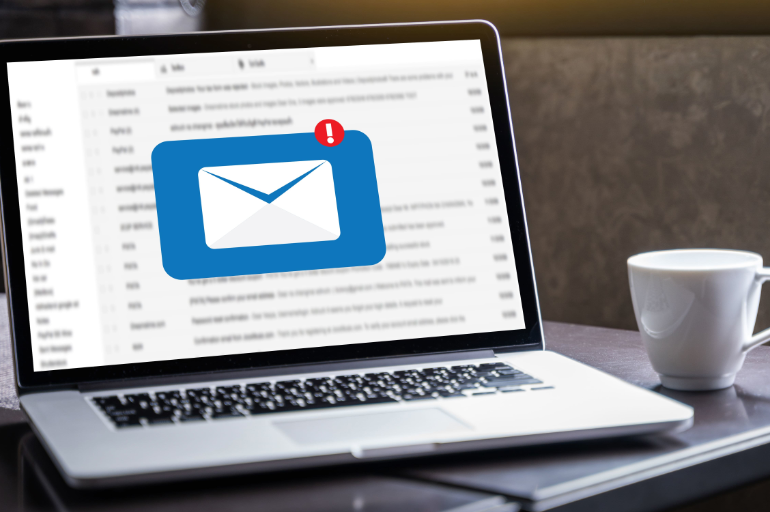 Attaching too many Images: Using too many images in your email signature can alert spam filters and prevent your email from reaching your prospect’s inbox, hence reducing deliverability. Also, don’t make your entire email signature an image. It might not display properly at the recipient’s side and even if it does, he/she can’t access or copy your details easily since they are a part of an image. Including too many links: Listing multiple links in your signature makes it look weak and inordinate. Too many links can overwhelm and distract your reader, making them miss the point of your email. It’s advisable to give a maximum of 2-3 links. Not Optimizing for Mobile: According to a recent research by Return Path, 55% percent of emails are opened on mobile devices. Handheld devices have become the preferred platform for reading emails today. 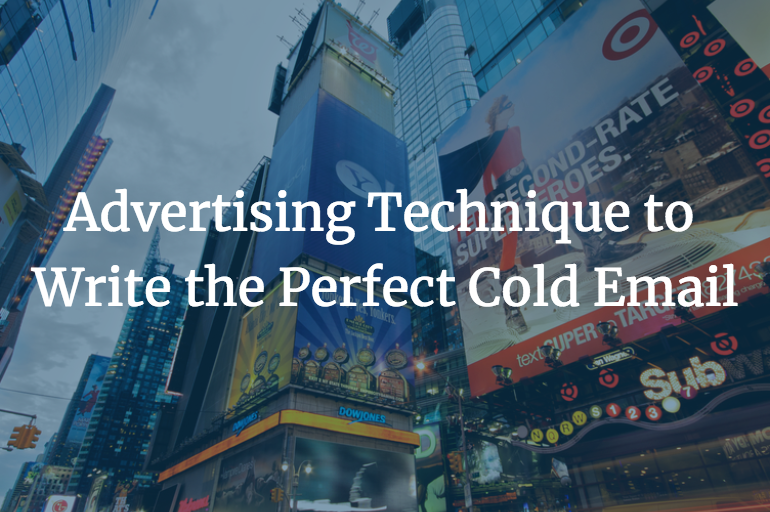 Taking that into consideration, it only makes sense to optimize your cold emails for mobiles to avoid losing any potential customers. With all this advice and steps on creating a good signature, the task of finding the right tool and actually creating a signature can be a daunting one. So, here are three tools that can help you create awesome email signatures. One of the best email signature tools on the market, WiseStamp offers a variety of templates and customization options that can be used for various businesses. 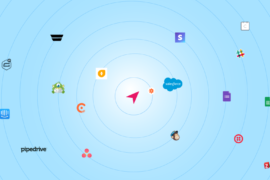 You can use WiseStamp with Gmail, Outlook, Yahoo and many other email service providers. ZippySig is a signature tool that allows you to create signatures for you and your whole team in a matter of seconds. It offers a wide variety of templates which are highly flexible and customizable. The created signatures can be used with a number of email service providers including Outlook and Thunderbird. This free tool from HubSpot is an easy-to-use email signature tool. All it requires is for you to enter the necessary details you want in your email signature and the tool creates a signature in seconds. None of this matters if you don’t test your signatures. Different signatures work for different prospects. And even though, it is standard practice to use one signature for every email, being open to testing and changes can help see which email signature works best. Perform A/B Testing on your signatures and after a few campaigns, you can settle on one email signature which has the best click rates.